This amazing home is being sold fully furnished & turnkey! Furnishings, decor, kitchenware included - move in without lifting a finger! Simply walk in and enjoy this beautiful, well-cared for 3 bed / 2 bath home with a spacious open floor plan. There is a special feel to this home whether you are entertaining guests or relaxing by the fireplace. The elegant tray ceilings and tasteful decor add to the ambiance! The 3 car garage is 937 sq. ft with plenty of room for 'toys' or storage! And did we mention the views? La Estancia is nestled at the base of the canyon with spectacular views in any direction! 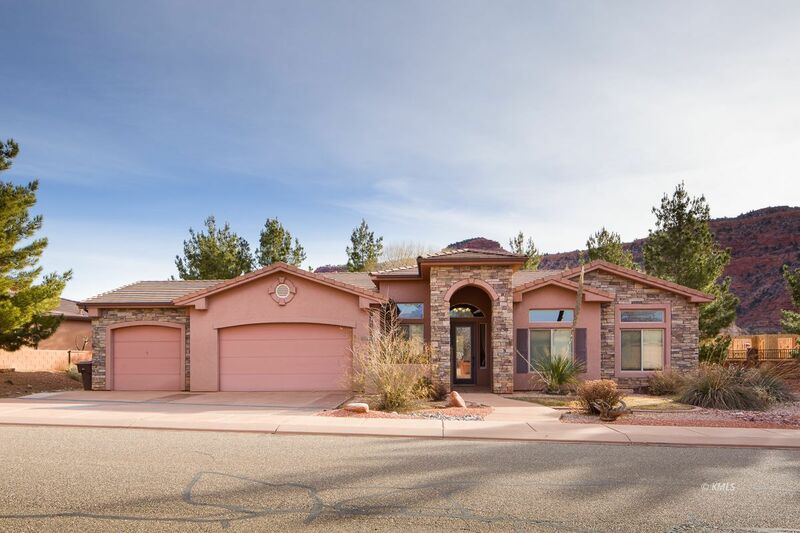 The La Estancia community is the premier community of Kanab. The only community to offer amenities that include Clubhouse, Indoor and Outdoor Pools with a Hot Tub, Fitness Room, Kids Play Area, Fire Pit, Gathering Barn and the World First Best Friend Certified Dog Park. You also have access to some of the finest Hiking Trails to explore just outside your door.